Have you ever taken just one bite of something and known you’d make it every single year for the rest of your life? That is what happened the first time I tried these cupcakes. I’m fairly certain angels sang and light descended on me the second these flavors touched my tongue. 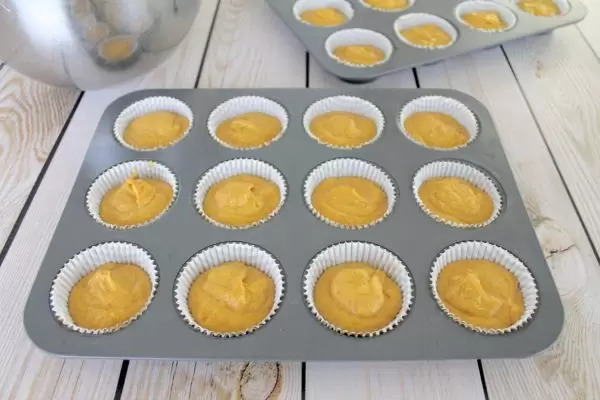 Sometimes Pumpkin has the ability to make a cupcake feel a bit more heavy, a bit more dense, a bit more “wet” in the center. 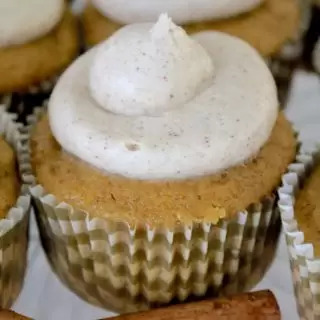 That’s alright, don’t get me wrong, but the thing that I love about these Pumpkin Spice Cupcakes, is that they are an incredibly moist, yet airy, flavorful cupcake. 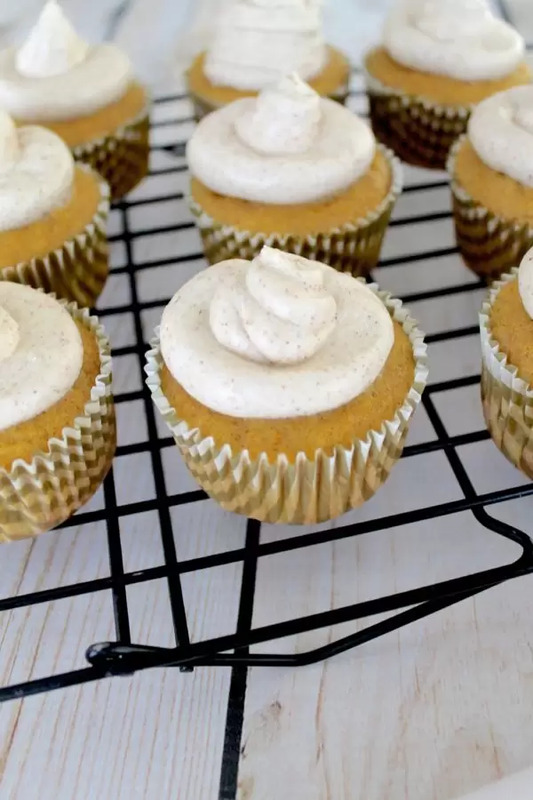 Add the frosting, and you basically have the perfect Autumn flavors: Sweet and Spice. And everything nice. In a large mixing bowl, cream together your butter and granulated sugar until light and fluffy. Add eggs, one at a time, beating well after each addition. Add pumpkin. 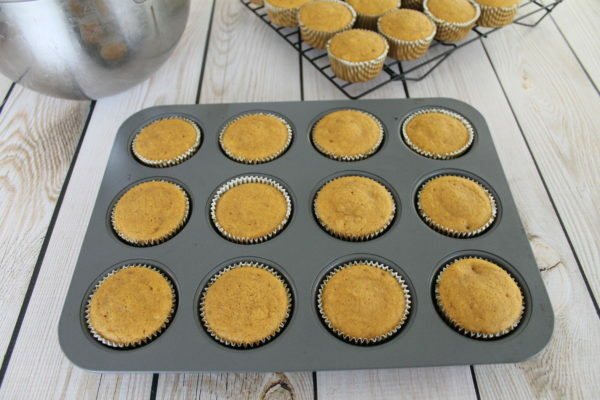 In a separate bowl, combine the flour, pumpkin pie spice, baking powder, ground cinnamon, salt, baking soda, and ground ginger. Alternating between dry ingredients and buttermilk, slowly add both to the creamed mixture, beating well between each addition. Helpful Tip: If you do not have buttermilk, you can add 1 tsp. vinegar or lemon juice to 1 cup milk, allowing to sit for approximately 5 minutes. In a large mixing bowl, beat cream cheese and butter until fluffy. Add the powdered sugar, vanilla extract and cinnamon; beat until nice and smooth. 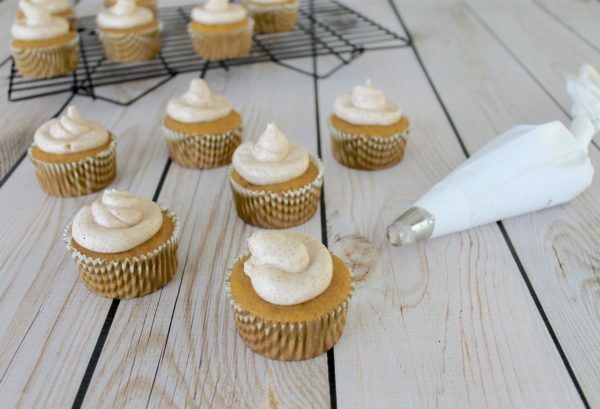 Because the frosting is made with cream cheese, make sure you refrigerate these cupcakes. 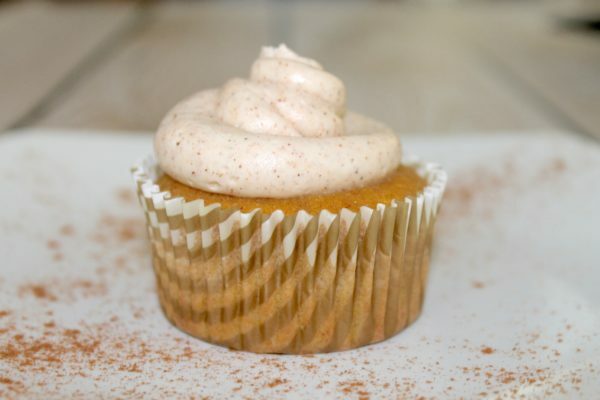 Pumpkin Spice Cupcakes with Cinnamon Cream Cheese Frosting are the perfect Autumn Flavors in a most, fluffy cupcake! In a separate mixing bowl, combine flour, pumpkin pie spice, baking powder, ground cinnamon, salt, baking soda, and ground ginger. Alternating between dry ingredients and buttermilk, slowly add into creamed mixture, beating mixture well after each addition. Cool for 10 minutes before removing from pans to wire rack to cool completely. Add the powdered sugar, vanilla extract and cinnamon; beat until smooth. 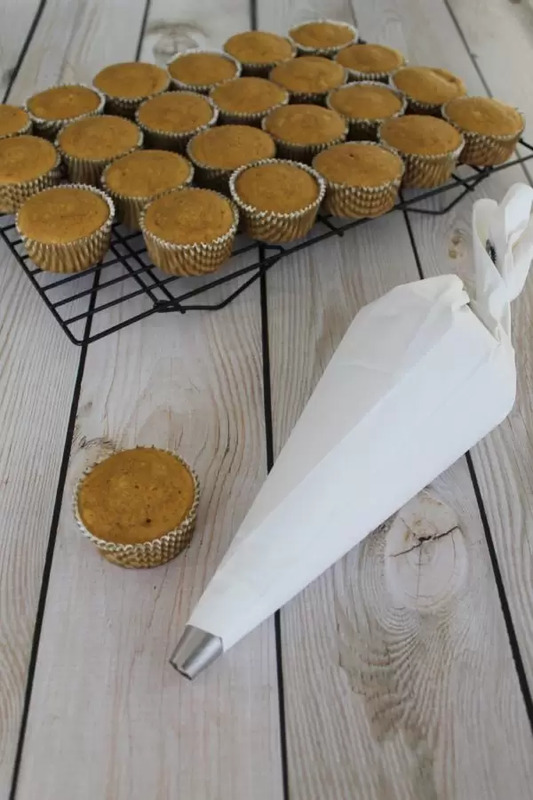 Mini Pumpkin Pie To Go! !